Saudi Arabia is a country of visitors throughout the year. Every year millions of Pilgrims visit Saudi Arabia for Umra and Hajj, there are Millions others working here to earn livelihood as well from various countries. For most of them Internet is a basic need to stay in touch with their families and friends at other globe locations. For a new comer in Saudi Arabia it is very difficult to find the right Internet Connection at affordable price because of not having a good knowledge of local market. I would like to Introduce a well known Internet Connection which is now available at very much affordable cost. This Internet connection is offered by Mobile Telecom, which is one of big giants of Telecom Service Providers in Saudi Arabia. 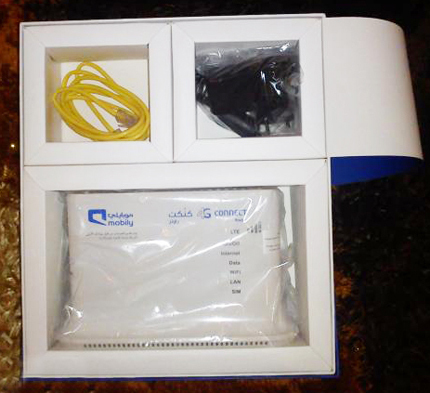 This package is called Connect Home 4G Router which includes a Modem and 3 Months Unlimited Internet at 599 Saudi Riyals. 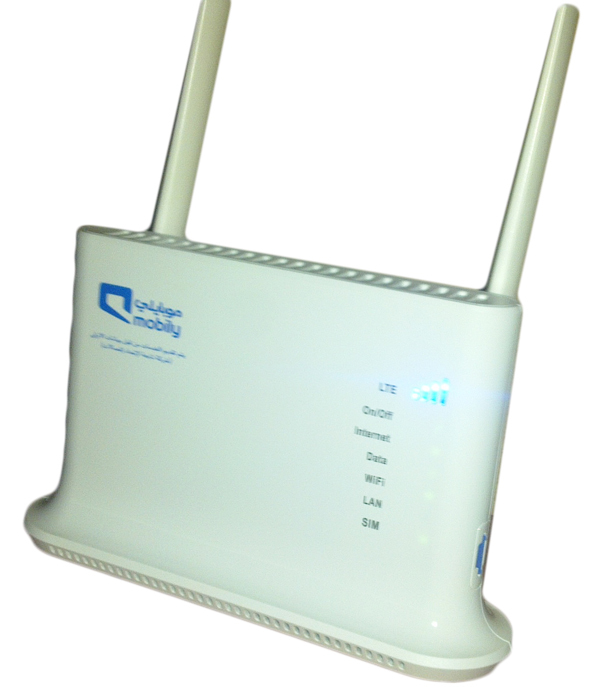 This router can connect you with High Speed Internet at any location in Saudi Arabia where you can find mobile signals. 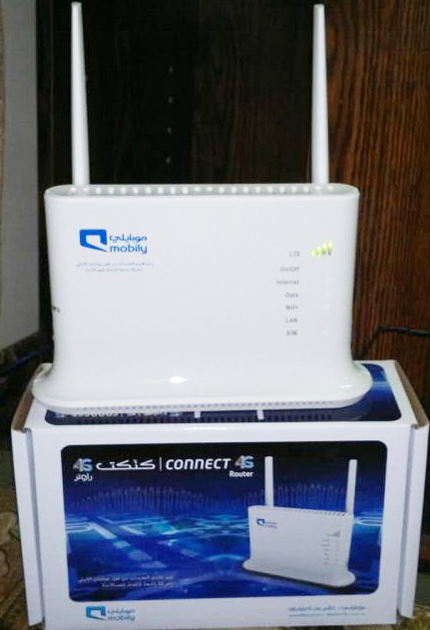 This router works on 4G Network from Mobily Telecom. It has a built-in WiFi Access Point as well so you can connect multiple device including Laptop, Netbook, Tablet PC, Smartphone or Ordinary Mobile phone with WiFi capability. The built-in WiFi Access point provides enough WiFi signals that you can connect inside your home within a range of 10-15 Meters. Not only WiFi but it has 4 Ethernet ports as well, so that you can create a Cable Connection from your PC to Router. There is another 4G Connection is also available which is dedicated for people on the move. It is a small device with a size of USB Flash drive, it can be connected directly with USB port in your Laptop or Netbook and provides Internet Connectivity for a single device. This package is called Connect Laptop 4G and it is available on selected branches of Axiom Telecom in Saudi Arabia. It includes a 4G LTE Modem and Limited 5GB Internet for 1 month. This bundle is available in 150 Saudi Riyals only. 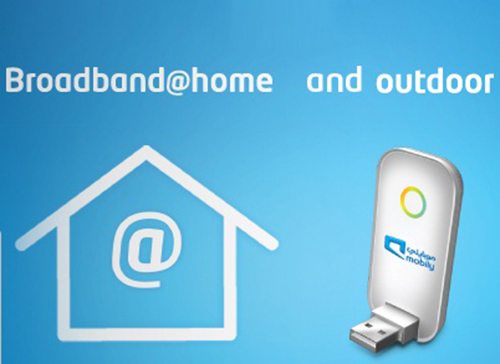 Both above Connect devices require a 4G Data Sim from Mobily Telecom which will be provided with every single purchase.